From design to workflow management, software is playing an increasingly critical role in additive manufacturing. Autodesk, one of the leading players within the software landscape, is a billion-dollar corporation that develops software for a wide range of industries, including manufacturing and construction. We were fortunate to be able to speak with Robert Yancey, Director of Manufacturing and Production Industry Strategy and Business Development at Autodesk. 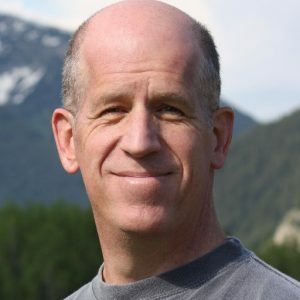 With over 25 years’ experience within additive manufacturing, Yancey is now responsible for overseeing the business and industry strategy for Autodesk’s manufacturing solutions, including subtractive and hybrid technologies, in addition to additive manufacturing. Today, we discuss the ways in which Autodesk is helping to accelerate the adoption of additive manufacturing, why generative design is so important and how the industry can move from rapid prototyping to production. With the extensive background you’ve had in additive manufacturing, how have you seen the industry evolve over the years? One of the main things that’s happened over the last few years is the idea that additive manufacturing can move beyond prototyping. There are applications in medical and dental where this has been the case for some time. But outside of the medical industry, what you’re starting to see is people looking at the technology and realising that they can actually build parts or produce low volume quantities where it can’t really be done any other way. With costs reducing and speed improving, using additive for production is more of a possibility now. Of course, there are still plenty of hurdles and challenges to overcome to make that a reality. But we deal with many companies who are looking at how they can use additive for production applications. 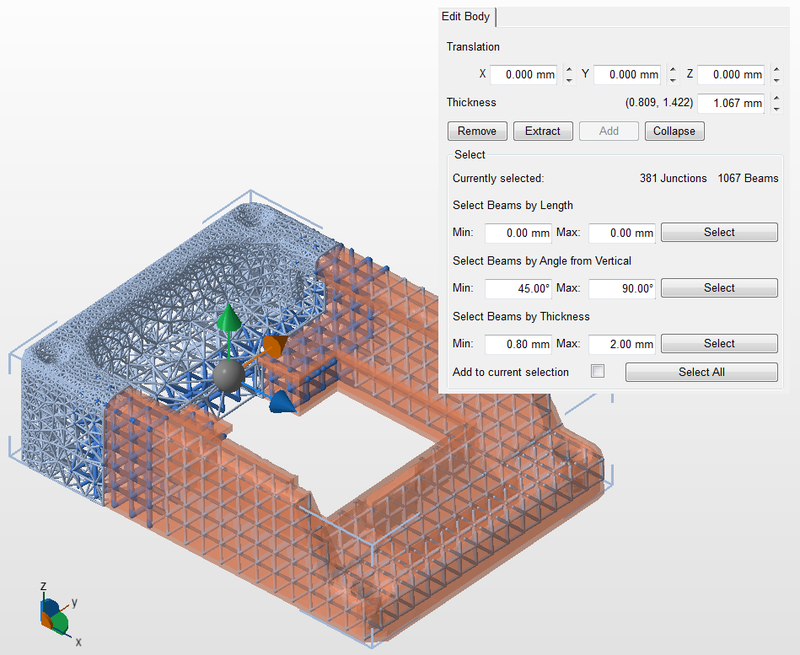 Let’s dive into Autodesk’s product offerings, starting with Netfabb. How is Autodesk Netfabb helping to advance the use of additive manufacturing? Netfabb is print preparation software. With it, we can work with STL files and generate support structures. That technology has been around for some time, so we’re focusing on making workflows more efficient. With that said, we have some additional capabilities within Netfabb that provide unique benefits. For example, we have some advanced tool pathing technologies. The companies using that have seen pretty significant speed improvements for their process. For metal additive, we also have a simulation capability that lets us simulate the powder bed fusion technology. This means we can look for things like residual stress, distortion and recoater blade interference. You can do all of that virtually before you actually commit to the build. More recently, we’ve been applying that technology to hybrid workflows. Here, it’s typically a case of metal being deposited using something like a wire arc process and then developing the machining capabilities to be able to finish the part after that deposition — and also doing simulation during that directed energy deposition process. How widespread would you say hybrid manufacturing currently is? Hybrid manufacturing is still fairly new, although there is a lot of interest in the market. Currently, there’s really only a handful of customers fully utilising hybrid manufacturing. However, at trade shows, we’re starting to see a lot more hybrid machine vendors for applications within industries like oil and gas industry or for larger parts that the powder bed fusion technologies can’t support. 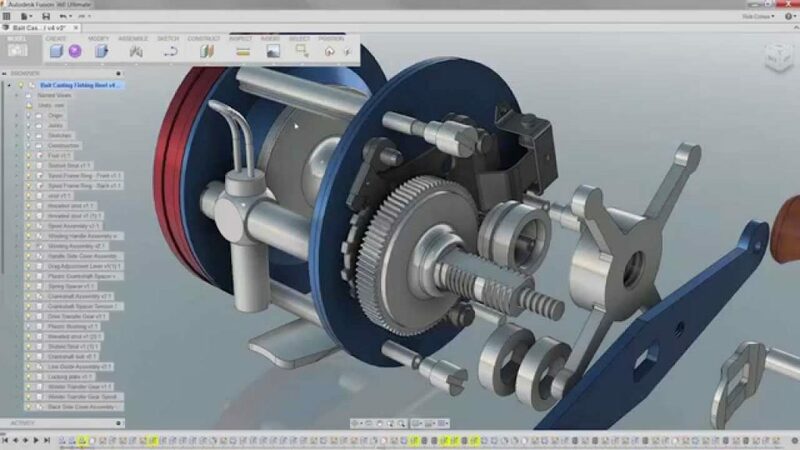 Generative design is a clear part of Autodesk’s strategy – how does Fusion360 fulfil Autodesk’s vision of generative design? One thing that sets Autodesk generative design apart from others that are offering generative design solutions is that we don’t give you a single optimised solution. We give you a range of solutions that meet your requirements, and then the tools to allow you to easily navigate those solutions. Personally, I think the industry, in general, has been positioning generative design as a light weighting tool. It’s particularly suited for additive manufacturing because it comes up with designs that often are difficult to manufacture efficiently any other way. But at Autodesk, we’re really looking at generative design as a design exploration technology that allows you to explore both engineering function as well as business value. We’ve started to introduce very common manufacturing techniques like being able to use generative for two or three-axis machining. You’ll see more of that coming out throughout the year. So generative design becomes applicable to people that are doing manufacturing today using traditional manufacturing methods. The other thing that we’re working on is being able to include more business trade-offs: for example, to be able to look at the trade-offs of cost or schedule or material during the design process. As we start to incorporate business like casting into the workflow, then people will be able to simultaneously do trade-offs between engineering performance and business value. One thing that’s often talked about is the need for a new design approach for additive manufacturing. What are your thoughts on this? Yes, that definitely is a major gap. I was recently at a consortium hosted by MIT, where a whole day was dedicated to the very topic of design for additive. We hear from many of our customers that they’re working with very disjointed workflows. They do the design process in a CAD tool, then they translate that to an STL file and import it into a build processor, like Netfabb. From there, it gets sent to the machine and the machine is collecting data on that. So you end up with these silos of data that are not well connected. That’s really the vision and intent with Fusion 360: to create a single environment that allows you to go from concept to print, and be able to have all of the data in the right context and in the right format, presented to the individual in the right manner. There are multiple people involved in the additive manufacturing workflow, and they all need different data and often need a different format. The vision of Fusion360 is to really bring that all together with data at the centre to be able to create this end-to-end workflow. We’re also interested in working with other technology providers within the additive ecosystem — such as workflow management software — to be able to partner with people that are providing other technologies so that users are able to get their job done in a convenient and efficient manner. Talking about partnerships and collaborations, Autodesk has announced quite a few, with HP and GE Additive being some of the most recent. What is Autodesk’s approach to partnerships and how do you see the role of collaboration more broadly within the industry? Well, the additive space is still a relatively small industry. I think people are recognising that in order to be able to grow, you’re going to have to collaborate with other technology providers within the space. That’s definitely what customers are asking for. They’re getting tired of these disjointed workflows and data that exists in silos in their operation and not being able to bring it all together. We embarked in dialogue with GE Additive and with HP over the last 18 months. They were expressing a similar view to us that one of the things that they see in limiting their ability to sell more machines and more materials is this disjointed workflow. They wanted to work with us to be able to establish a more consistent workflow for their machines. Since they’re two of the biggest names in the industry right now, we decided they would be good partners to work with to help solve this issue. But our intention is that we can provide a platform that allows any machine vendor to be able to create a workflow with Fusion 360 and outside technology vendors. Are there any other partnerships that you’re able to talk about? We recently announced a partnership with Farsoon and Arkema at TCT Asia. That one’s interesting because Arkema is the material supplier, Farsoon is the machine vendor and we’re the software supplier. So it’s not just about the material, the machine or the design; it’s really about all three of those — the process, the material and the design. All three need to be working together in order to be able to produce the best outcomes for people using additive manufacturing. Earlier, you alluded to the ongoing shift in additive manufacturing from rapid prototyping to production. What are the key factors needed to ensure that this happens? For very heavily regulated industries like medical and aerospace, there’s always the question of how they certify parts. The fact that you have to certify the design, materials and process is really not that much different than any other manufacturing technology. However, with additive, the processes are different and the materials can be different so you have to go through that process in order to be able to get certification. That’s one of the things that needs to happen to get into production. Then there’s also just less familiarity with the technology in general. Companies see the opportunity for additive manufacturing but often don’t have enough expertise with the technology to really understand how to quickly move into production. There are some companies that are moving fairly quickly and others that only just getting into that. One of the things that we find is that a lot of customers come to us and simply want general training. They want help understanding where the opportunities and obstacles for additive manufacturing are, to better understand the process and the materials needed and how all of these factors can feed into the design so that they can start to explore how they can use this technology for production. Cost is also still a barrier in many cases. Combine that with the lack of knowledge in terms of how to use and design the technology and how to make a business case for where additive actually makes sense for the business, and I’d say that there are still quite a few limiting factors. Has this need for more training impacted the content of the Autodesk University user conference? Well, Autodesk University is our user conference that we’ve had for a number of years and it’s really a user-driven conference. We have our customers actually teach a lot of classes and provide a lot of the content. There’s a process to be able to determine which sessions get included in the overall agenda. And yes, we’ve seen a growing interest in additive at Autodesk University. If you track it, you’ll see that there are more additive classes and content at Autodesk University. We’re also looking to partner with consultants in the area and universities. I was recently at MIT, whom we’ve partnered with, and they’ve been developing a lot of educational curriculum that focused on the working professional, not college students. They introduced their course this year and have got a lot of tremendous response. We’re working with them to be able to provide that sort of training content and be able to provide Autodesk technology to help with the development of the training content. We’re really looking at outside providers to be able to do a lot of the training and focus on developing the best software experience for our customers and for those being trained. On the challenge of making a business case for AM: how can a company that’s new to the technology begin to make a strategy for adoption? What are some of the factors that should be taken into consideration? From my view, a lot of companies when they start to get involved in additive, start producing parts that have been designed using their traditional processes. They can print it and it’s great to have a 3D printed part in your hand and be able to show it off. But where it falls apart is when trying to find the business case. If a part was designed for casting or for machining, often those technologies are going to be still more cost-efficient, especially in moderate to larger volumes. Part of the education that needs to happen which aligns with the business case is how can we provide value to the part or the component or the system where additive is actually the only way we can provide that additional value. You look at some of the famous case studies that are out there, such as the leap fuel nozzle from GE — and we had a case study with HP with Penumbra. Those are things where you’re actually designing a part for additive from the outset. With that, there’s actually performance value that you’re achieving. So it’s really being able to design the part with a clean sheet of paper. Obviously, you have to understand the technology well in order to be able to do that and the software tools need to be able to support that. That’s a lot of what we’re focused on. Are you seeing any key opportunities for AM in specific industries or applications? Of course, medical and aerospace are the two largest markets now. But if you look at Autodesk’s core market, which is for design and manufacturing, the key opportunity is in industrial machinery — small and medium-sized machine shops and manufacturing facilities. What’s interesting for us is we’re seeing actually quite a bit of interest from that industry. They’re much more conscious of where they can charge higher rates for parts in those industries than the aerospace or medical industries. 3D printing for consumer products is also starting to get more and more attention. When it comes to hybrid workflows, another area we’re seeing interest in is using additive technology for tooling. That’s been huge. Jigs and fixtures have been utilised with the technology for a long time, and there have been some limited applications for tooling inserts. But we’re seeing quite a bit more interest in the idea that you can prototype and create tooling quicker using additive, as well as do more iterations. They may eventually still go to a traditionally cut tool, but there’s a lot of value that additive can provide through the process. Then, there are applications where you only need a few hundred or a few thousand, where additive tooling is a more cost-efficient way to be able to deliver that. What about additive for the construction industry? It’s one that has been quite slow in terms of adoption of the technology and yet there seems to be quite a lot of potential. Applications for additive within the construction industry is definitely on the Autodesk radar and one that we’re monitoring closely. We’re very well positioned to do that as construction is a key market that we address. I think we’ve all seen the videos of robots printing concrete, but it goes beyond to being able to create customised nodes for new building designs. The construction industry is looking to the manufacturing industry for guidance in terms of how to create more efficient construction processes and to be able to tap into some of the technology that the manufacturing industry has used. The current rate of adoption is still very early. But I’d say there’s quite a bit of interest in the industry and there are some companies that have come up with 3D printing technologies for construction. It’s an area we call industrialised construction, which is really making construction more like a manufacturing factory so they can get the efficiencies of that. Just like we view additive as one of the tools in the toolbox for manufacturing, additive will be one of the technologies in the toolbox for the construction industry. In terms of AM’s role within the wider manufacturing ecosystem, do you see it more as a complementary tool to traditional manufacturing methods? Additive will not replace traditional manufacturing. But there will be a role for it as adoption continues to grow. So yes, it can complement. For certain applications, it could replace traditional manufacturing. But we view additive as just another manufacturing technology that’s now available to our users, who are trying to figure out how to go from a design to manufacture and then to market, whilst doing so in the most cost-efficient way and producing the best quality products for their customers. Industry 4.0 is a term we hear quite a bit. 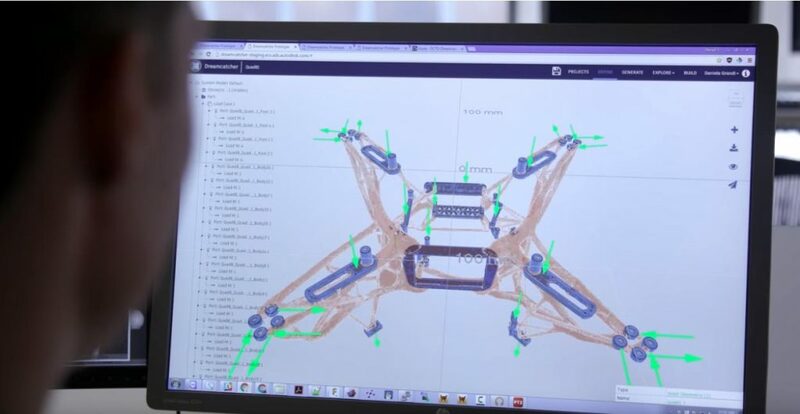 What’s Autodesk’s vision of Industry 4.0? Industry 4.0, digital twins … we do hear these terms a lot. It’s an interesting one because we’ve had feedback from some of our customers saying that Industry 4.0 is all hype and that it doesn’t really apply to them. But then we have other customers who are actually getting good value from being able to utilise more artificial intelligence, machine learning and data analytics in their overall workflow. Our view is that in order to be able to really get to the vision of Industry 4.0, an important first step is to better connect the design and manufacturing workflow. That’s really the promise of Fusion 360. We have a great workflow designed to a machined part within Fusion. You’ll start to see that workflow for additive emerge this year. It’s really connecting the data between design and manufacturing. There are obviously connections to downstream processes like quality control and inspection, supply chain and logistics and so on. But if we don’t get the design and manufacturing data connected, the vision of Industry 4.0 will never be realised. So that’s really where we’re focusing on at the moment: connecting that design to manufacturing workflow. When it comes to actually managing the production side of the additive manufacturing workflow, would you say there’s currently a gap in this process? Could you explain more about how you see that connection being made, especially with data? It’s a major gap that we see across the manufacturing industry. Just at a data point, we have a lot of customers that use our machining technology for creating injection moulds. We also do the injection moulding simulation. So we’re very well connected with the injection moulding market. I’m surveying the number of our machining customers to say what percentage of the designs do they receive from their customers that are ready to cut a tool. Their response is always the same. In most cases, they say that that has never happened. What I characterise it as is that when the designers are often not well-versed in all of the intricacies of their manufacturing process, they’re not designing with enough insight into the manufacturing process. When they get done completed with the design, they throw it over to the manufacturing operation. The next step is what I describe as “then the dance begins” — the dance between design and manufacturing, the back and forth, to be able to get something that meets the design requirements and can be manufactured in the time and the schedule required for the product. A lot of what we’re trying to do is to be able to close that gap. We want to be able to provide designers with more insight into the effects of their design decisions on the manufacturing operation. It needs to go the opposite way as well. So a manufacturing engineer might look at some opportunities to save some time or cost in the manufacturing operation that would require a design change. They don’t have visibility back to the designer to know if they make that change, whether it will violate any of the engineering requirements of the part. We’re really trying to close that gap and be able to provide insight to working professionals along the product development process to be able to have the data they need in the context that they need it in order to be able to make better decisions. Are there any trends within additive manufacturing that you’re excited about? It’s a fast-moving industry. So there are always new companies and technologies that are becoming available. Some of the trends that I’m seeing that I’m particularly interested in is more reinforced plastics. Composites technology is making its way. There’s a number of companies out there that are developing interesting processes for composites, which give you stiffer parts, more tailored parts and parts that you couldn’t manufacture any other way. Hybrid technology is another emerging trend that’s quite interesting. It offers the advantage of being able to use really traditional processes like welding processes and being able to apply them in a way where you can come up with high-value components at a lower cost and with more design flexibility. I think we’ll continue to see costs coming down speeds improving for these processes. I think that is what’s driving people to think about using additive for production applications where they only need a thousand parts to be able to get a product out to market. On the flip side, if there were three things that the industry needs to accelerate that process, what would they be? The second is the certification processes. I’ve mentioned aerospace and medical, industries that have specific certification processes, but they’re still struggling with to do this for additive. The third, I think, is the design for additive capability. Complicating things further is the fact that the design requirements for different industries are different. How do you teach a general class on design for additive with that in mind? There’s also system limitation in the tools. If you look at the handoff between a CAD tool and a print prep tool, the problem is that the CAD tool just outputs an STL file, and you work with that. If you need to modify some things, you have to go back to the CAD tool, re-output the STL file, and then work on modifications. That’s not a very efficient process. On the flip side, being able to have the ability to make changes and quickly see the impact on the printing process, the materials that you use, within the CAD environment allows for a lot more iterations and results in a more efficient process. It’s also part of what we’re trying to achieve with generative design. Generative design defines the engineering and the business problem that you want to solve, all the variables that you have and then lets the tool produce hundreds of viable design options. You can then quickly sort through those and determine which ones are the most interesting for you to do more analysis on. Finally, what does 2019 look like for Autodesk? You’re going to start to see additive workflows show up in Fusion 360. We’ll continue the partnerships that we’ve already established to create very seamless and efficient workflows for customers of those machines. We’ll also continue to stay abreast of some of the new technologies like composites or hybrid manufacturing that are coming on the scene and understanding what the use cases and applications are for those technologies and where those converge with our customer base. Ultimately, we’re doubling down on our efforts to bring additive manufacturing to the masses. At Autodesk, Dr Yancey defines the business and industry strategy for manufacturing production solutions including subtractive machining, additive printing/fabrication, hybrid and composites technology. He is a recognized leader in generative design and manufacturing, advanced simulation, aerospace structural design, and advanced composites. He holds degrees from MIT, Virginia Tech and the University of Dayton in Aerospace and Materials Engineering.